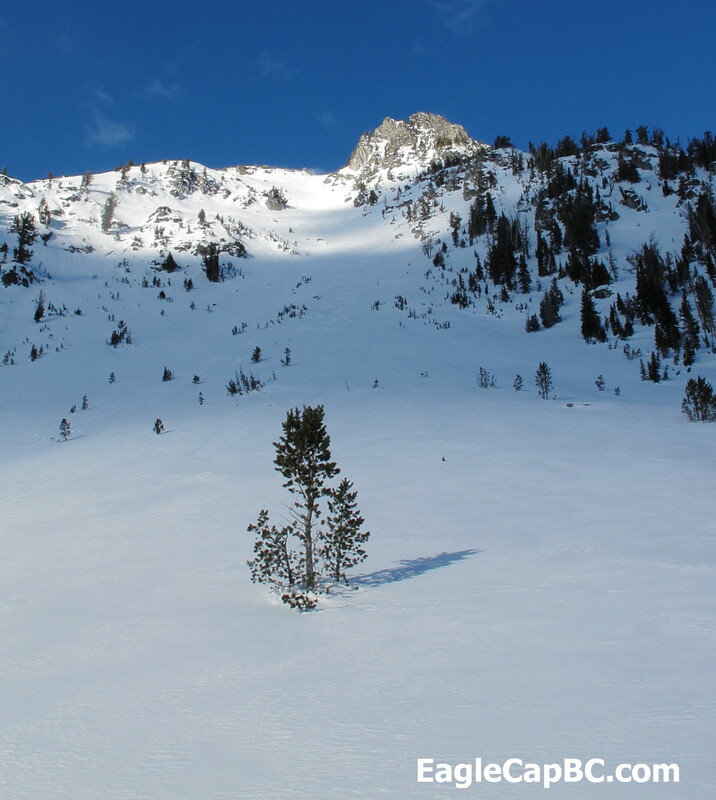 This is the Wallowa Mountain’s Elkhorn Mountain(9,233′), not Elkhorn Peak(8,931′) located in the Elkhorn Mountains. Unique name, Elkhorn is. I’ve attempted this line at least twice (maybe thrice?) and every time conditions haven’t quite aligned. Last time Tysen and I tried the whole chute was filled with debris. I’ve been dreaming about this one a lot. 2,000 vertical feet, sustained pitch, ski right off the summit, it’s got it all.